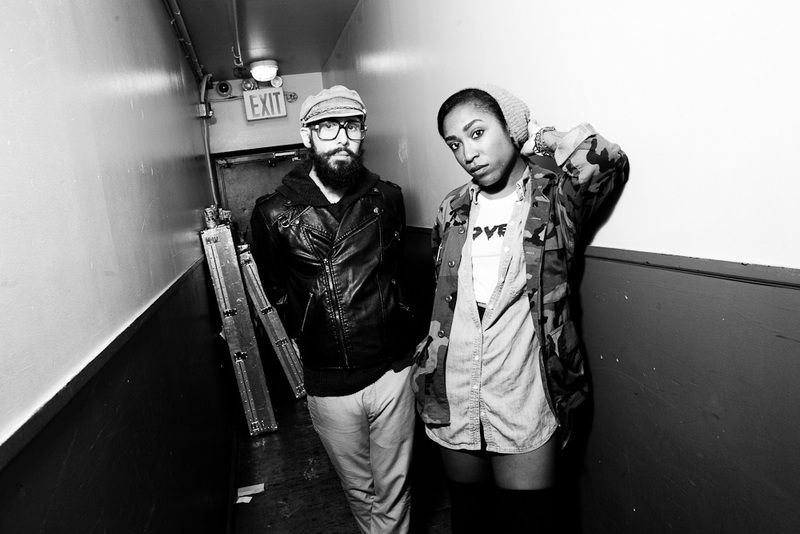 PYYRAMIDS, the new collaboration by Tim Nordwind of OK Go and singe r Drea Smith released their new record, Human Beings earlier this week. I've put this record on my recommend list. The alluring vocals and catchy rhythms will have these songs stuck in your head all day and on repeat play. Check out the video for "That Ain't Right" and download the song as well as stream the rest of the album using the handy widget at the bottom of the post. From the mystical, unGoogleable beyond comes PYYRAMIDS, a new collaboration by OK Go's Tim Nordwind and singer Drea Smith. Living in the dark, atmospheric grotto midway between the dance floor and the mopey teenage bedroom of the mind, PYYRAMIDS' six-song debut will be available on October 31st from Paracadute, the full-service 21st century record label OK Go founded on their 2010 parting from Capitol. Befitting the band's cross of banging beats with underground pop, PYYRAMIDS arrives on that most idiosyncratic of formats, 10-inch vinyl. PYYRAMIDS comes as a reinvention for both players and steps into new, wild territory. For Nordwind, the guy with the bass, beard, and glasses in OK Go, PYYRAMIDS' expansive textures find him far from the bright indie pop and all-inclusive videos that have made OK Go one of the most recognizable - not to mention most-watched - acts of the digital age. (Though that doesn't mean PYYRAMIDS won't try their hand at videos.) For Smith, formerly the saucy half of the electro-pop duo He Say She Say - and a stint with Lupe Fiasco - it brings her songwriting into a place of bold new maturity without sacrificing the force of her singular presence. For both, it is an unlikely partnership entirely befitting of the new age.